It is that time of the year again. The leaves are brown, school is almost out, and the holiday spirit is everywhere. 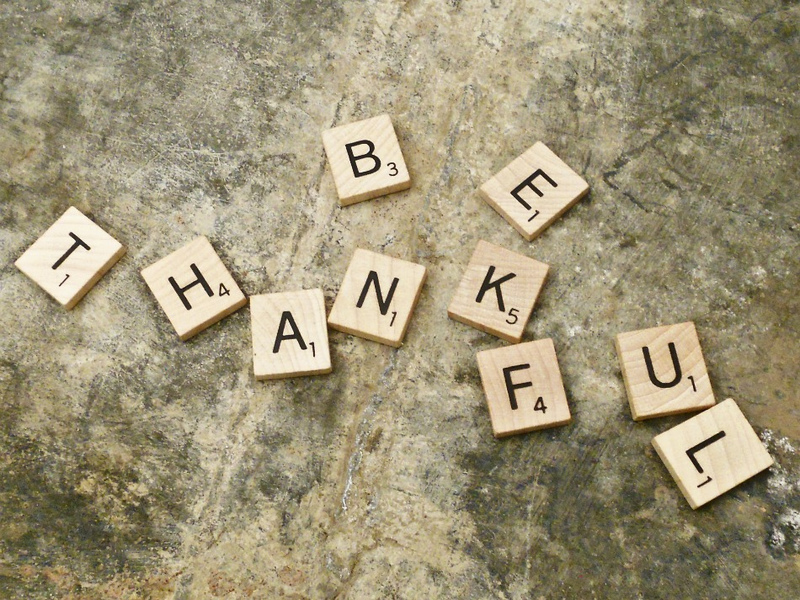 With Thanksgiving being just a few weeks away, the idea of gratitude is all in the air. When was the last time you contributed to something greater than yourself? When was the last time you were able to say you gave to charity? The things we do on a daily basis, regardless of a holiday, is what contributes to our character. Can you say you live life with the attitude of gratitude? If not, we have a guide to help you be thankful this holiday season. Ive come to find that a lot people would love to give back, they just do not ever know how to. A 2003 study has shown that people who cultivate thankfulness and appreciation are generally happier and healthy than those who do not. It is important to drink enough water, get enough sleep, and have a well balance diet. Water makes up a majority of our body, so it is important to have enough water in your system. Make sure you drink 8 glasses a day or half of your body weight. For example: if you weight 150 lbs, you should drink about 75 fluid oz of water a day. Next, get enough sleep. I cannot emphasize enough the importance of sleep. An adult should get at least 8 hours of sleep a night. Turn off all electronics at least 30 minutes before bedtime. This leads to a better nights sleep. Check out our blog “Catch some Zzzs: How to improve your sleeping habits?” for more tips on how to get a better nights sleep. Lastly, make sure your have a well balanced diet. Go for veggies and fruits. A trick to vegetables is the darker, the better. Kale, broccoli, and green beans carry the nutrients that give you energy throughout the day.Also, avoid sugars and salt as much as possible. A healthy you is needed for a happy you. Often times we get so consumed and overwhelmed with what life brings up, we forget to thank the people around us. Dedicate time to call those who mean a lot to you. Whether it is during your lunch break or before you go to bed, pick up the phone and show gratitude. It is very important to show gratitude to our parents and grandparents because we never know when is the last time we will talk to them. When I was growing up, my mom had a tradition to give thanks at the dinner table. We never gave thanks the traditional way. At least once a week, one of the kids were responsible for telling someone they appreciate them. Often times, we were allowed to even call the other person if they were not at the table. That was just a fun tradition we had to start dinner. Having record of what you are thankful for helps cement how thankful you are. Each day write two things that happened throughout your day. It could be something as small as your cashier at Starbucks getting your coffee out in time for you to make it to your meeting. Or something as major as a family member giving you money in your time of need. No matter what the event is, write it down. If you spend a little time each day thinking about what you’re thankful for, you might even find more than two things to write about. When you find yourself having a hard time, it is beneficial to have a journal to look back on. Having a journal reminds you of the good times, so get a journal and get to writing. The art of fulfillment is appreciation and contributions.Humans feel most useful when they are contributing to a cause greater than themselves. This holiday season make it a goal to give back to others. Everyday when I’m walking to class and I see all the homeless people suffering in the cold, I want to give them everything I have. Unfortunately this is not possible, but it is possible to feed a homeless person a day. Most of the time, homeless people are not asking for much. They just want a simple meal a day. My goal this holiday season is to feed a homeless person as least once a week. The weather is getting cold and now is the perfect time to help feed someone who has less than you. Something as small as a turkey sandwich can make a homeless person’s day. Life can hit you with the toughest situations sometimes and those situations can hinder your ability to be thankful. Finding out you have an illness or you just got laid off at the job can be some very stressful situations. If you have an illness, it can be hard to remain thankful, but think about all the friends and family members that are supporting you. It is very easy to sink into a depression when going through a hard time, but do not let the negativity get to you. There will always be light at the end of the tunnel, remember that. You can apply your thankfulness to any situation. There will always be something to be thankful for, just remain positive. A positive life leads to a fulfilling life. 2014 is all about giving thanks and giving back to a cause greater than ourselves. For those that are grateful enough to spend time with their family, by thankful because most people do not even have a home to eat thanksgiving dinner. Also, make time to volunteer at a homeless shelter or a soup kitchen. I promise the outcome will be fulfilling.